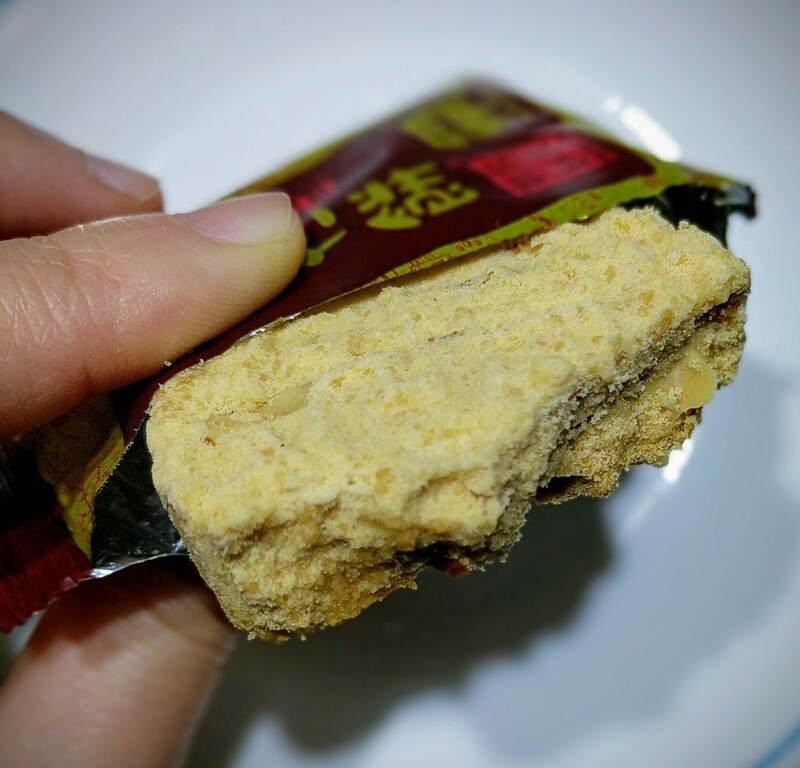 One of the most popular food souvenirs in Macau is the almond cookie. 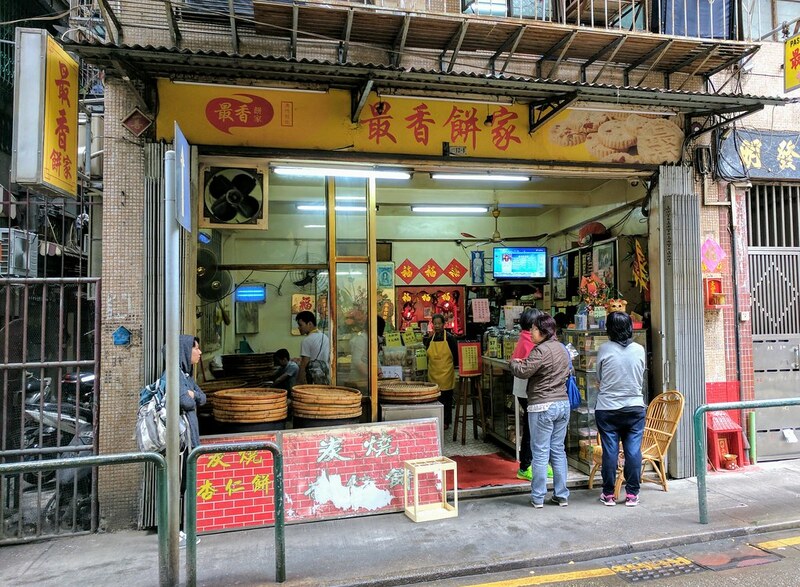 In touristy areas, there are crowds purchasing several boxes of almond cookies to bring back home. Beef and pork jerky is another popular food souvenir, but keep in mind that some countries have certain import rules (i.e. United States will not allow while Hong Kong will). 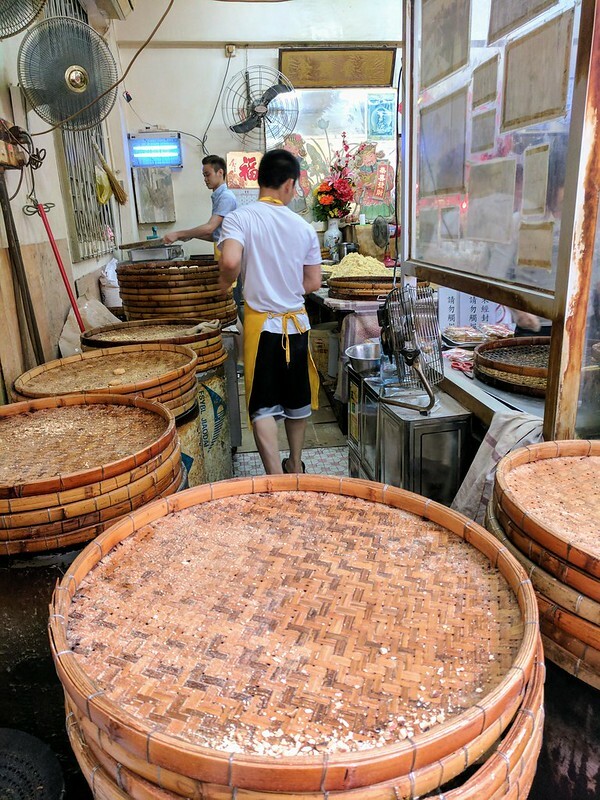 Workers at this particular almond cookie shop were seen pounding the almond powder into molds, like robots! 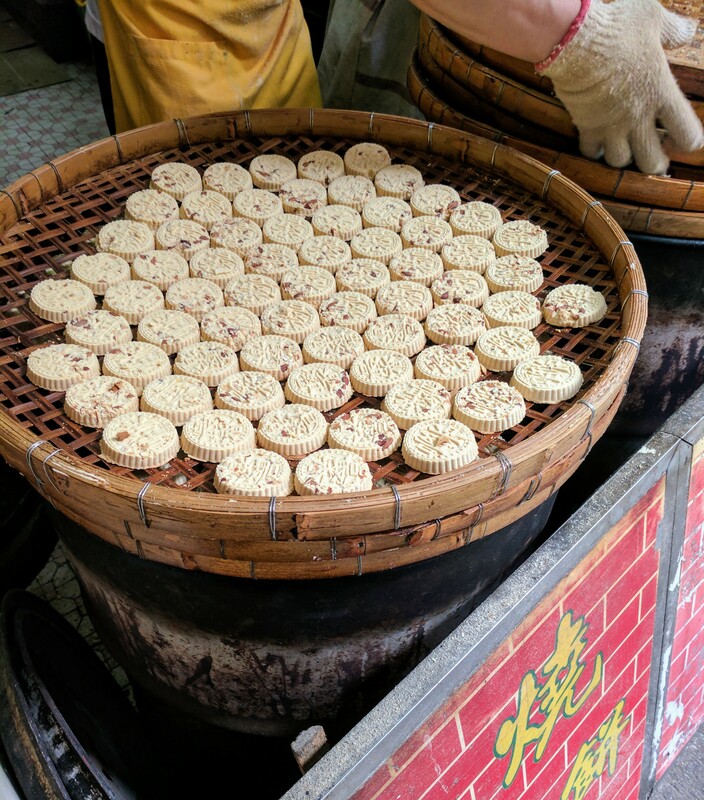 The cookies were then placed in a large bamboo tray, which was placed over a flame to be baked/steamed. We got to eat freshly-made almond cookies. Warm and moist yet firm almond cookies. It was a whole ‘nother eating experience, different from when they’ve completely cooled down. We bought a box to snack on during our upcoming Vietnam trip. In hindsight, I don’t recommend eating them in the car… The cookies are crumbly and made a huge mess, like dandruff on my clothes. Thanks! I edited the post; hopefully that clarified it a bit.